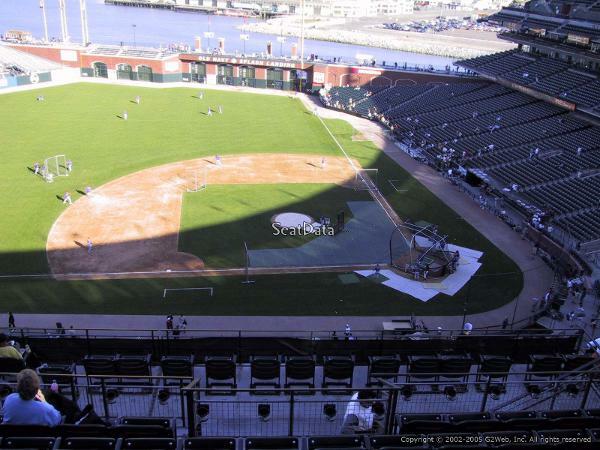 This particular listing is for 4 incredible seats in row B that provide a spectacular view of both the field and water! NEW for the 2019 season is 20% off concession stands and Giants Dugout during the game. ... Tickets are Face Value and will be divided up via draft style in early March. The $37.50 price is the 'average' price of all the tickets. The Giants use tier ticketing prices for each game and so depending on which games you draft your final average price per ticket may be more or less. If you would like to purchase specific games in advance please see my other listing in Section 320 Row B. Thanks for looking and go Giants! Significantly less than what it would add up to via the site. Feel free to make an offer for all 60 and I can always counter. ... If you want the actual 'hard' tickets it is about $1 extra per ticket as I generally like to keep the entire season ticket book together. Hi, what would be your price for half of the season tickets? Thanks! Hi, I currently only have about 60 games left. If you are interested in purchasing all 4 tix to a set number of games that are left - I'm sure we could figure out a fair price and draft them accordingly. Otherwise, feel free to make an offer on the games you want from the list on the site. .... Hopefully this answers your question. If not, shoot me another and I'll do my best to respond ASAP. Thanks! Hi I would be interested in these tix and had a question on when the tix will be available ( wanted to see if they can be available before christmas) and if we can get paper tickets ? I'm told by the Giants that the tickets will be available electronically by mid-December and so they should be available for electronic transfer before Christmas. You can then easily print them out and give them as gifts. ... The 'hard tickets' usually aren't mailed out till early March. I can't do both. My personal preference is to simply electronically transfer you the tickets as it keeps it easy and simple for everyone. This listing has been saved by 232 people.